The text messages, photos, contacts, etc. on your HTC are things you can't afford to lose. If you happen to lose them and need HTC data recovery solutions, read on. 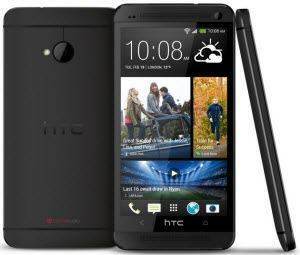 How to recover lost data on HTC phone? No matter what causes you lost data on your HTC Android phone, you can always use Android Data Recovery to rescue the lost data. The tool recovers lost contacts, photos, SMS, call history and videos from both Android phone's internal storage memory and external storage (SD card). Apart from HTC smartphone, it also recovers data from other Android smartphone brand, such as, Samsung, Sony and Motorola that installs Android 6.0 M, Android 5.0/5.1 Lollipop, Android 4.4 KitKat, etc. Get a copy of this software, install it to your Windows computer and you can then try to recover data from HTC phone all by yourself. Supported HTC Models: HTC One E, HTC One Max,	HTC One Mini, HTC One X+, HTC One V,	HTC Desire X, HTC Desire C, HTC Evo 4G, etc. 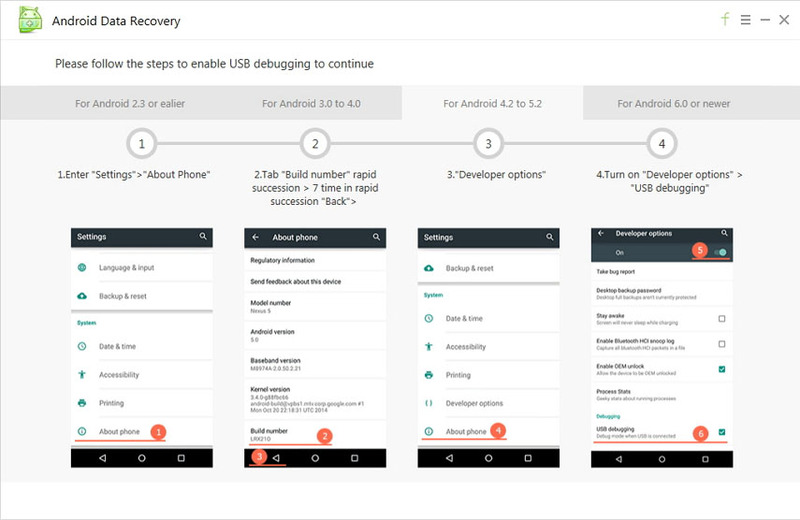 1)	Run the HTC phone data recovery software and follow the onscreen commands to enable USB debugging and then scan your HTC smartphone for lost files. Note: Different versions of Android OS share different debugging process. Make sure you choose the right one. 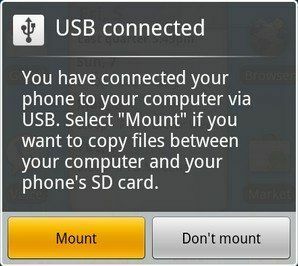 The picture below shows you how to enable USB debugging on Android 4.2. If your USB cable is lost or the USB port is damaged and you can't connect your Android phone to PC, you can try Tenorshare Android Data Recovery Pro which enables you to connect via Wi-Fi. 2)	The scanning process will take a few minutes or so. You can take a cup of coffee or doing some other staff if you don't want to wait. When all these finishes, the program will display all the recoverable photos, contacts, text messages, call history and more. Preview them to select the ones you want to restore. 3)	Last but not least, choose a destination folder to save the recovered files on your computer. Now you can freely view all the recovered contacts, photos, call history, etc. on your computer. Why Data on HTC Phone Were Lost? Root your phone without backup. Delete the files by accident. Abrupt corruption of Android system. Improper handle of HTC phone like switching of mobile phone abruptly. Remove SD card from HTC device improperly which causes file system to collapse. HTC phone display "Unsupported File System" or "Black Media" on SD card. In addition, if you worry about future data loss on your HTC Android phone, you can backup Android phone beforehand.